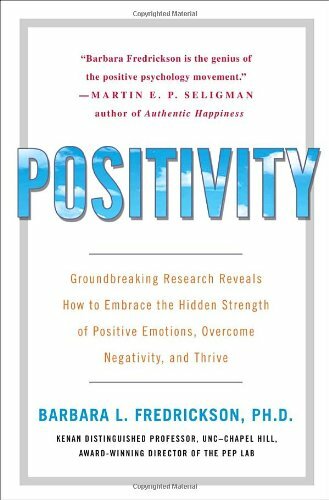 World renowned researcher Dr. Barbara Fredrickson gives you the lab-tested tools necessary to create a healthier, more <br />vibrant, and flourishing life through a process she calls &quot;the upward spiral.&quot; You&#x2019;ll discover:<br /><br />&middot;What positivity is, and why it needs to be heartfelt to be effective<br />&middot; The ten sometimes surprising forms of positivity<br />&middot; Why positivity is more important than happiness<br />&middot; How positivity can enhance relationships, work, and health, and how it relieves depression, broadens minds, and builds lives<br />&middot; The top-notch research that backs the 3-to-1 &quot;positivity ratio&quot; as a key tipping point<br />&middot; That your own sources of positivity are unique and how to tap into them<br />&middot; How to calculate your current positivity ratio, track it, and improve it<br /><br />With <i>Positivity</i>, you&#x2019;ll learn to see new possibilities, bounce back from setbacks, connect with others, and become the best version of yourself. BARBARA L. FREDRICKSON, PH.D., is Kenan Distinguished Professor of Psychology and principal investigator of the Positive Emotion and Psychophysiology Laboratory at the University of North Carolina at Chapel Hill. She is a leading scholar within social psychology, affective science, and positive psychology.